As technology advances, the benefits can be seen in all different sectors. The healthcare sector, in particular, has benefited greatly from digitalisation and technology innovations. 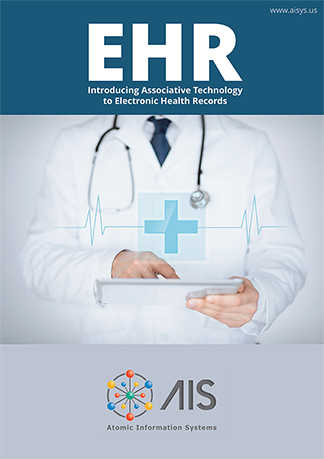 One of the key developments is the electronic health record (EHR). This is beneficial not only to patients but healthcare staff. Medical people must deal with continuous and pervasive obstacles as well as challenges from any number of existing electronic health record software systems. These burdens arise both from mostly unavailable unreliable interoperability capabilities and from interface design and functionality issues that fail to meet end user requirements for optimal success and patient care, particularly at the point of care. Atomic Information Systems Corp has incorporated a revolutionary “Associative” database technology and the most advanced interface designs into its new EHR program, providing the capability to remedy the interoperability and operability challenges in existing health information technology (HIT) systems. The integrated solution presents the practical impact of these programming advances for medical practices and hospitals. While current EHR systems available have focused their intellectual efforts on the “data storage and revival” strengths of digital systems, they have consistently failed to invest similar efforts and resources into the designs and functionality of the “data entry” features of the electronic health record. The benefits of this advanced technology begin with lower programming costs and much higher reliability for connecting multiple unrelated systems. The technology also provides the ability to store and share significantly more complex information and in doing so, addresses all of those critical needs for clinicians. In this detailed ebook, Atomic Information Systems Corp outline how their “Associative” database technology can offer an alternative to what systems are currently available. They aim to present an integrated software product capable of operability for clinicians and interoperability with the full spectrum of related health information technology products.